It happens for all kinds of reasons: job layoff or relocation, or you are far down the power of sale process and the bank is about to take possession of your house. Whatever the reason, you are now in the position of needing to sell your house fast in Toronto. You need, then, to find house buyers who have cash to buy your house (not just tire kickers), get them in the door, and then close the deal. Understanding the process and knowing how to get your house sale done will help you. 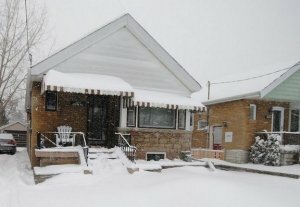 How To Sell Your House In 5 Days In The Toronto Area? Generally, after locating a solid possibility, people buying a house for cash will want to make sure some kind of purchase-and-sale agreement has been drawn up. Next, they are likely to conduct a title search to make sure the title is clear, with no liens or other encumbrances. If you want to sell in 5 days then there can’t be too many complications with title. If there is a 2nd mortgage with a private lender or if there are liens, then it may take some days just to contact the lender or lien holder and get a response from them. But if there is no mortgage on title or just one mortgage lender, then the purchase and sale can happen very fast. If all these things are in order, the cash buyer will make an offer. A buyer offering cash will feel they have more bargaining power because the sale doesn’t depend on a third-party loan and the inevitable wait. You can always make a counter-offer if the first offer doesn’t suit you. If an offer is accepted, the person buying a house from you will then want an inspection and possibly an appraisal done to make sure there are no huge problems and that they are getting their money’s worth. This needs to happen in a day or two to keep on schedule for 5 days. Since this is a cash deal, you and the buyer can set the closing date for a time convenient for both of you, usually much sooner with a cash deal. You simply show up at your lawyers office with pen and your lawyer will cut you a check on the closing day. Here are some steps you need take before attempting to sell your house in 5 days. Pricing your house right is probably the best step you can take toward making a fast sale for cash because it’s what gets people to consider your house in the first place. If your price is too high then it may sit unsold for a long period. It pays, then, to check out comparable house values in the area and price accordingly. If you need to sell your house in 5 days, then let’s face it, the presentation of your house probably isn’t your number one priority. That being said, the better your house looks and the better its been maintained, then the higher the price you will get. Cleaning goes a long way to fetch a higher sale price. But repairs, maintenance and cleaning probably aren’t your priorities if you’re on a 5 day schedule. It always pays to sweeten the deal to make it more attractive for buyers. The tried-and-true principle of reciprocity tells us that people are willing to give more (sale price) if they feel they are getting something in return (the deal sweeteners). For example, you could offer to throw in the lawn mower or the snow blower. If you need to sell your house in 5 days and are looking for someone to buy your house, these tips and steps will help you close a cash deal. But there’s even more you can do to get a better cash offer and expedite the sale. TO LEARN MORE ON HOW TO SELL YOUR HOUSE IN 5 DAYS IN Toronto, CONTACT US BY PHONE AT (647) 848-7790 OR FILL OUT THE FORM.